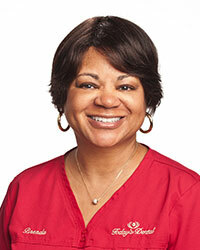 Annette, Certified Dental Assistant, has been happily employed at Today’s Dental for 24 incredible years. Annette was born in St. Petersburg and is dual certified in x-ray and expanded duty functions, licensed in both Florida and Georgia. Annette switched professional hats from Dental Assistant to Office Manager. She now schedules your appointments, files your insurance, and handles financial arrangements. She has transitioned into her new position with ease and grace. Annette’s experiences make her a valuable employee as she can also work in the assistant position when necessary. Annette’s passions include basketball, football, shopping, running 5K races, spending time with family and old movies! 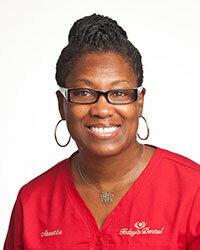 Brenda, Registered Dental Hygienist, has been with Today’s Dental for 28 wonderful years. She was born and raised in the Tampa Bay area and received her degree from St. Petersburg College. Her reputation with our patients is outstanding. 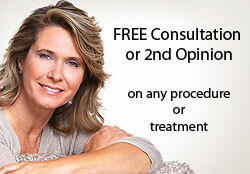 Brenda is friendly, gentle, thorough, and compassionate. She frequently diagnoses problems at their earliest stages, making them easier to treat. After a professional cleaning in Brenda’s chair, it is not uncommon to hear our patient’s comment, "That’s the best cleaning I’ve ever had!" Brenda is experienced with teeth whitening, non-surgical gum treatments including root planning, periodontal therapy, micro-ultrasonics, perio-chip placement, patient education including nutritional counseling, dental x-rays, and diagnosis. Brenda loves dentistry because it is a service oriented profession when she has direct patient interactions. Her outside interests include spoiling her 4 grandchildren, reading, Words with friends, Sudoku, walking, exploring San Francisco, and crossword puzzles, which she does in pen! 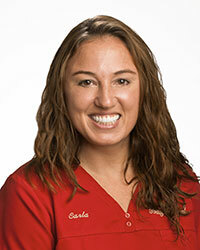 Carla, Certified Dental Assistant, has been Dr. Engelman’s "right hand" for 18 fabulous years. She was born and raised in the Tampa Bay area where she received her degree from St. Petersburg College. Carla has taken numerous continuing education courses at LVI (Las Vegas Institute for Advanced Dental Studies), and is able to assist with all dental procedures. Most recently, she completed the Dental Assistant course for Invisalign. Carla has a special gift for helping patients relax in the dental chair. The most rewarding aspect of her work is being able to change lives with new smiles! In addition to distance running, Carla enjoys her cat, "Nugget", and bike riding. 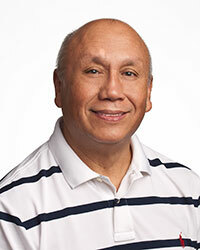 Luis, Laboratory Technician, has been happily working with Today’s Dental for 9 years he has been practicing his profession for over 45 years. He was born and educated in Ecuador and currently resides in Tampa. Luis has a knack for creating beautiful dentures that are aesthetically pleasing, well-fitting and functional. In addition to hand-setting the teeth in all of our dentures, Luis also fabricates partials, retainers, night guards, and neuromuscular orthotics. Using our state of the art, in-house dental lab, Luis can perform denture repairs and relines the same day! This is a wonderful service for our patients as they do not have to be without their dentures for more than a couple of hours. Luis says, "I love my job! I like the people I work with and all the patients." Luis enjoys the creative outlet he experiences through fabricating dentures. When he is not working, Luis enjoys playing soccer and spending time with his large family. Luis is fluent in Spanish and is a member of the social sports club.